Everyone has in the back of his mind Ramses II and his chariots rolling at the battle of Kadesh in 1274 bc, the giant fleets of the Ptolemies and Alexandria, or in the XIXth century, the Mamelukes which formed Napoleon’s close guard. The modern Egyptians never forget this proud legacy nor its antique symbol carried out through millennia, the desert eagle. A more regimented, professional standing army was created by Muhammad Ali Pasha in the beginning of the XXth century. For the first time they were not drawn from the traditional Sudanese slaves or Mamelukes but the peasantry. After ww2, Egypt free from British influence get involved in the 1948 Arab-Israeli War. Defeat was soundly resented by “free officers” like Muhammad Naguib and Gamal Abdel Nasser that led a coup d’état and revolution in 1952. The old monarchy of King Farouk was abolished and the British forces left around the Suez Canal forced to leave (Anglo-Egyptian Treaty of 1954). Such a strategical asset could not be left by the two nations that had been involved deeply with it, the French that built it and the British that defended it against Rommel in WW2 and considered it the jugular of the empire, direct link to their Indian colonies. However Nasser, then first president of a modern, laic republic, intended to keep it after nationalization, as part of the Egyptian territory and free from foreign influences of interests. After failures of negotiations, both nations mobilized and intervened in what was known as the “Tripartite Aggression” in the Arab world, as Israel was part of it, attacking by land from the east. After an air preparation, Anglo-French ground forces assaulted Egyptian forces on the Suez Canal and Cairo, meeting some successes before international pressure led from both the USSR and USA forced the coalition to retire in December. Only Israel gained the occupation of Sinai (until March 1957) and re-opening of the Straits of Tiran. This conflict enlightened the weaknesses of the Egyptian Army led by Abdel Hakim Amer, a politic appointee that proved incompetent for the most part of the operations, but the Egyptian forces proved to be largely superior in defence than (counter-)attack. at that time equipped with ww2 materiel, like the Sherman M4, T-34/85 and SU-100, or former British models like the rare Archer tank hunter. If Nasser though to the USA for weapons delivery as a first choice, the Eisenhower administration couldn’t stand the resolutely anti-Israel position of the Egyptian government, and Czechoslovakia was, therefore, a main source of supply before 1955. Nasser then turned to the USSR, mostly as a way of pressuring the white house, but eventually this lead to a steady stream of deliveries, despite maintaining a strict neutrality (at some point, the US government offered to send military advisers which conditioned the deliveries of weapons, but that was rejected). This shift towards the communist block, however, was deeply resented by the tripartite treaty nations and was a main cause of the intervention. With time, Soviet instructors also came in Egypt, contributing to forge a tactical doctrine adapted to desert warfare. In this civil war a republican coup d’état overthrew the old monarchy and the two factions were supported, in order, by Nasser’s Egypt one side and Saudi Arabia, Jordan and the UK in what was also called the “Arab cold war”. 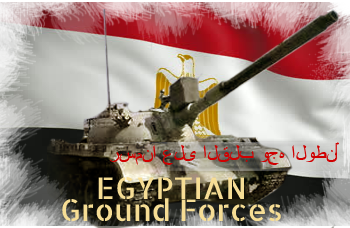 Egypt deployed troops within three months of the war, which grew from 5,000 to 50,000 at the end of the war, without significant gains. Ultimately the Republican won, but at a such price that this conflict latter gained the reputation of being “Egypt’s Vietnam” as for years there was no significant progresses against tens of thousands of semi-regulars, 200,000 tribesmen and hundreds of mercenaries using guerrilla tactics whereas the Egyptian Army used conventional tactics in which armored vehicles and tanks mostly played an infantry support role and were defeated in particular by infantry-held weapons like the 105 mm recoiless gun. The Abrams now represents the strong arm of the ground forces, with no less than 1,130 M1A1 produced locally under licence from 1992 in four batches and 755 (scheduled) M1A2SEP programmed as a modernization. T-80U were purchased from Russia for evaluation in 1997, namely 14 UK and 20 U.
M60A1 in exercise Bright Star ‘1985. 700 M60A1 were purchased from US Army (Germany-based) surplus stocks from 1979 to 1988 while 1016 A60A3 were obtained directly from the US and later Austria in 1999-2002 while 400 A1s were upgraded to the A3 standard. Two T-62s of the Yom Kippur War (1973). T-62: 750 ordered in 1971 but most arrived too late Too late for the Yom Kippur war. 500 modernized are still in service today and 100 in storage. These T-62E RO-115 Mark I (1980) had the NORICUM package: British diesel, better ammo, two-plane stabilizer, ballistic computer, laser rangefinder, BMP-3 FCS, smoke dischargers and ERA. Mark II started in mid-1990s: New licence-built German MTU engine (880 hp), 105 mm M68 tank gun, Italian FCS and electronics plus ATGM launchers. Improved ERA, armored side skirts, modernized suspensions full NBC upgrade. The Mark III (2004-2008) (RO-120) Mark III had the locally-built 120 mm FSUE M-393 tank gun (increase elevation and depression (7° and +15°)), upgraded MTU diesel, improved armor (46.5 tons). Ramses II (2004) – An all-out improvement of the old T-54 performed by Teledyne Continental Motors (now General Dynamics Land Systems). So far there is no proof the Ramses II was eventually put into service nor produced to an extent of 250 or 400+ as often stated. Egyptian T-54 and T-54Bs of the 1967 and 1973 wars. 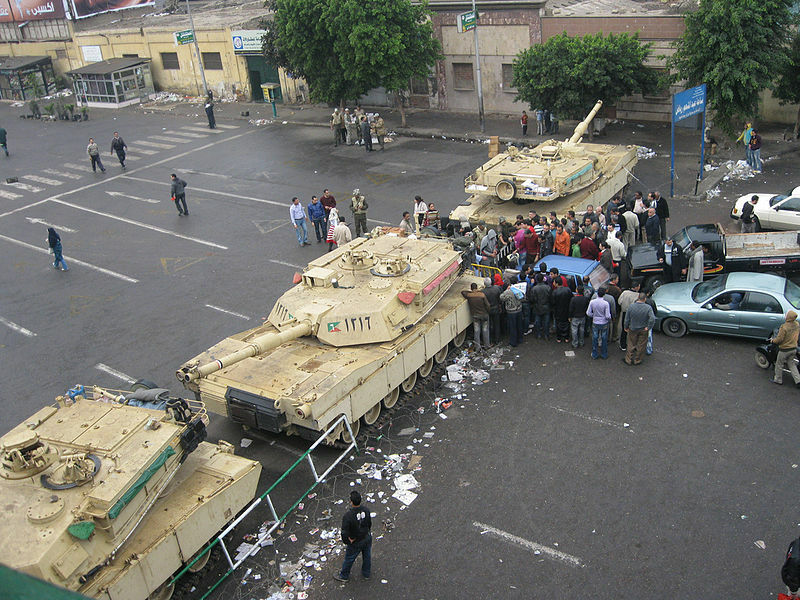 They formed the bulk of the Egyptian Army for 15 years, with over 2,500 tanks. First orders came for 350 T-54s in 1960 (last delivered 1966) possibly of Czechoslovakian manufacture. 150 T-55s were ordered in 1963 in addition also delivered prior to the 1967 war. 82 T-55s were lost ioin this war; 800 T-54s were ordered in 1967 (last delivered 1972) and 550 T-55s were ordered in 1967 (last in 1973). Plus 50 T-54s (1973). Eventually 895 T-54/55s were allegedly in service in 2003-2004. YPR-765 Infantry Fighting Vehicle Developed from the M113A1, the AIFV was a 1970s private-venture by FMC which ended with a massive order form the Dutch and later Belgian armies. Over 1030 were acquired by Egypt from 1996. In addition, 220 BMP-1s are kept in storage. These vehicles imported in 1972 fought during the Yom Kippur War. 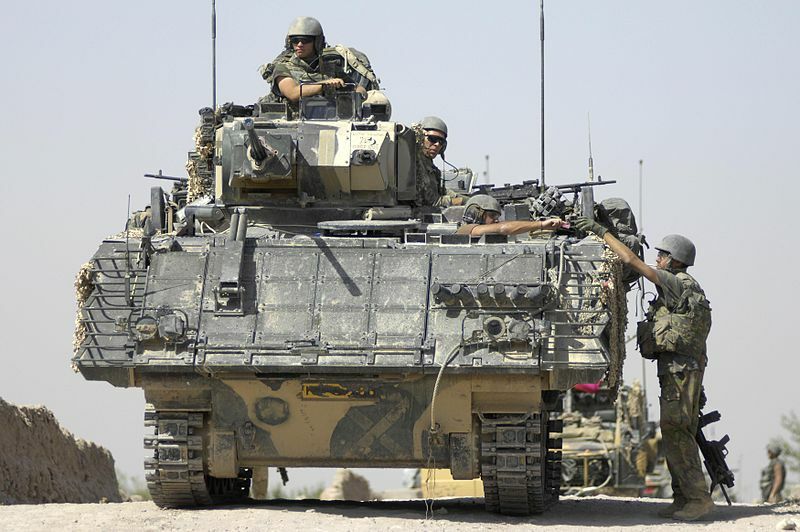 The EIFV is an interesting hybrid between the Bradley and M113, marketed by BAE systems but never put into production as far as our sources go. 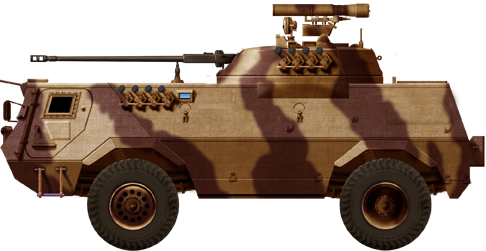 M113 The main Egyptian tracked APC. 2320 in total plus five spcialized variants (650 more), like the M901A3, M577, M548, and M981 FISTV. Fahd 240/280 Here a 240-30 armed with the BMP-2 turret. 1900 built locally in association with Thyssen-Henschel. Walid APC 650 built locally from 1966. Now consigned to border patrols. BTR-60 650 ordered 1969-70, some fought in the Yom Kippour war. Only 200 operational today. More modern Pegaso and OT-70 SKOT 8×8 are replacing them. BTR-50PK 500 delivered, 100 upgraded to the PKM standard, the other pending scrapping. Alongside these, also 250 OT-62 TOPAS (very similar, built in Czechoslovakia) upgraded by Ukraine in 2010; and some PTS amphibious transports (Nile commandos) purchased in the 1970s. Status unknown. BTR-40 380 ordered, now still 200 active or pending storage. Replaced by more modern vehicles. BTR-152 675 acquired from 1963, many losses. Only 175 left in 2013, pending storage and possible scrapping by 2020.